IHG (InterContinental Hotels Group) has announced a Multiple Development Agreement (MDA) with existing partner GS Star GmbH (GS Star) to bring 15 avid hotels to the German market. This marks a milestone launching avid hotels, IHG's newest brand, in Europe for the first time. Germany is a priority market for IHG with 122 hotels already open or in the development pipeline. Strong growth momentum of 50 new signings since 2015 has been driven by IHG's 11 active MDA partners, which has expanded IHG's mainstream presence in Germany particularly with the Holiday Inn and Holiday Express brands. IHG has also been creating wider growth opportunities in the boutique, upscale and luxury markets with the first hotel for Kimpton Hotels & Restaurants in Germany signed in 2018 and a doubling of the Hotel Indigo footprint with three new openings by 2020. Under the structure of the MDA, hotels will be signed within three years and opened within five. 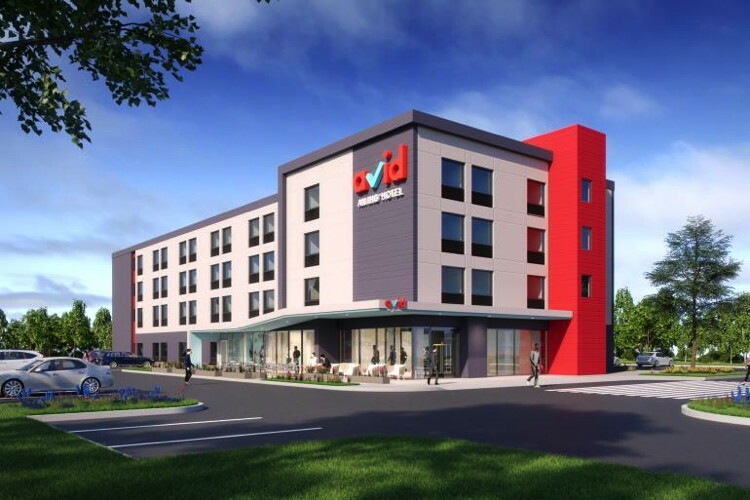 The first new-build avid hotel is planned to open by 2020. GS Star has been selected as a proven MDA partner with existing experience of developing IHG's mainstream hotels in German priority target cities. Announcing the deal at a signing ceremony at Expo Real in Munich, Kenneth Macpherson, Chief Executive Officer, Europe, Middle East, Asia and Africa, said: "avid hotels has seen strong signings in the U.S., Canada and Mexico making it IHG's most successful new brand launch since Holiday Inn Express back in 1990. We are now excited to bring avid hotels to Germany where our proactive development approach has delivered exceptional growth in recent years. "GS Star is the ideal launch partner, with a strong track record in mainstream growth opportunities they are well placed to introduce this new, exciting brand to our guests in Germany." Andreas Erben at GS Star commented: "We are delighted to be the first to market in Europe with this new brand from IHG, which has the potential to be a strong mainstream growth vehicle. It is a compelling guest offer, removing the frustrations of everyday travel. Attractive development costs matched with an efficient operating model will support quick growth of the concept in major Germany cities. "We've previously benefited from IHG's comprehensive in-market franchise support and know the commitment they have to delivering commercial success in partnership with their owners." avid hotels, launched by IHG only last year, has already received strong owner interest in the U.S., Canada and Mexico with 130 signings. The first avid hotels property opened in August this year in Oklahoma City. Are you with avid hotels? If you are a member of avid hotels you may be interested in learning how to optimize your content on our network.